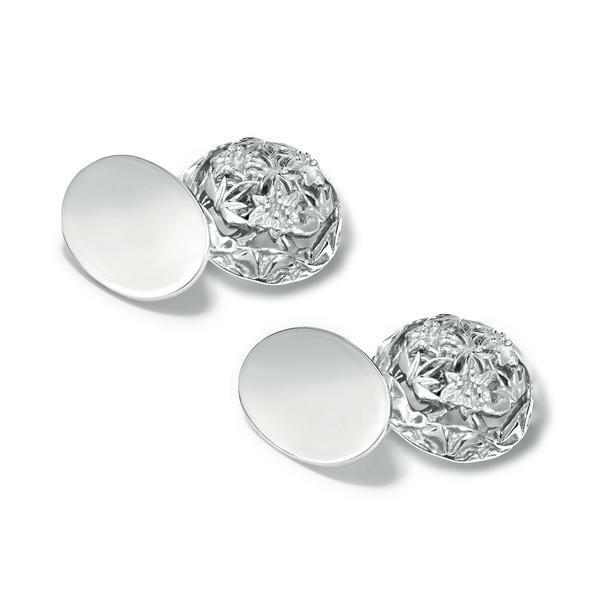 Eton College Chapel Wykes single ended cufflinks in silver. Inspired on the bosses in the ceiling of Eton College chapel (built by Henry VI in 15th century) and designed by a House Master of the time, Nigel Wykes, when the new roof was put up in the 1960s. With kind permission of the Provost. From Cassandra's Classic Collection. The larger face of cufflink measures approximately 16mm in diameter, and other measures approximately 12mm.